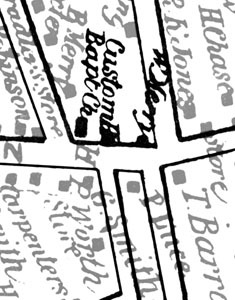 Detail from the 1887 birdseye illustration by George H. Walker & Co.
Center foreground, left-to-right: Centre Street, Benjamin "Ben Chuck" Dexter's store, the vacant lot where Herbert Tilton was to build his store in 1892, Dr. Butler's drug store and office, John H. Lambert's dry goods store, and Spring Street. 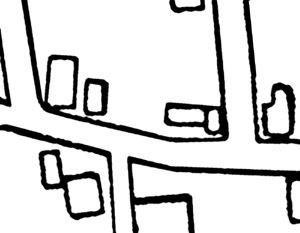 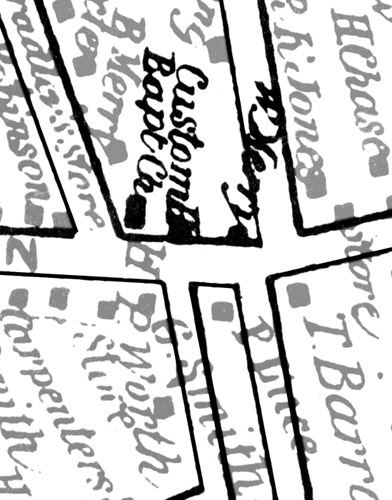 Detail from the 1858 Walling Map, before the fire. 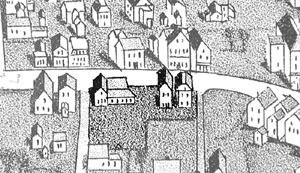 Left-to-right: The Baptist Church, Henry P. Worth's Customs House, and Capt. 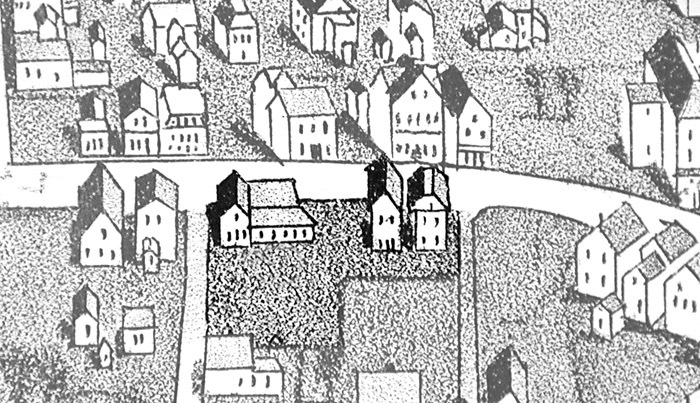 William Merry's home. 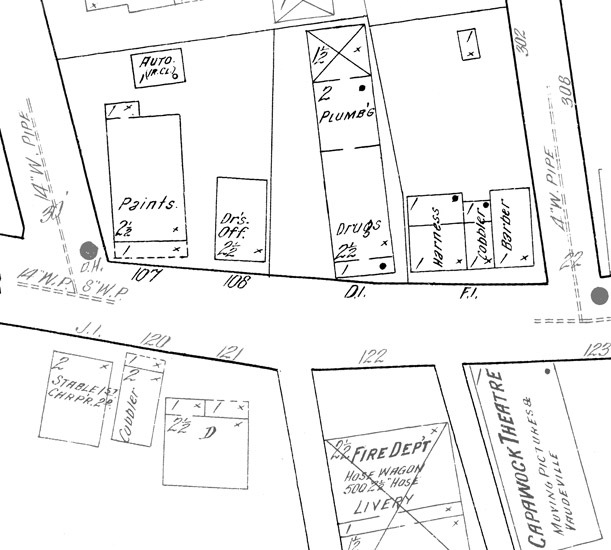 Detail from an 1888 Real Estate Map, after the fire. 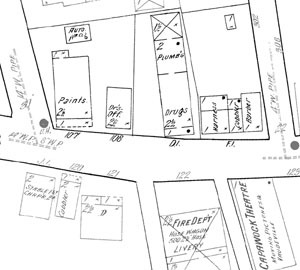 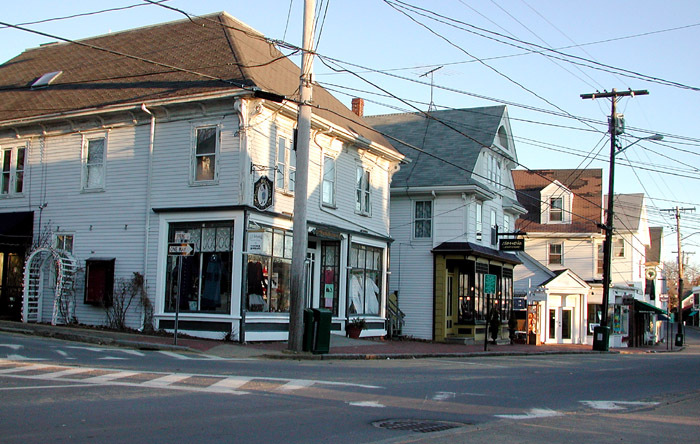 Left-to-right: John H. Lambert's dry goods store, Dr. Butler's drug store and office, a vacant lot where Herbert Tilton was to build his store in 1892, and Benjamin "Ben Chuck" Dexter's store.